I’m a Half Century Old Today! 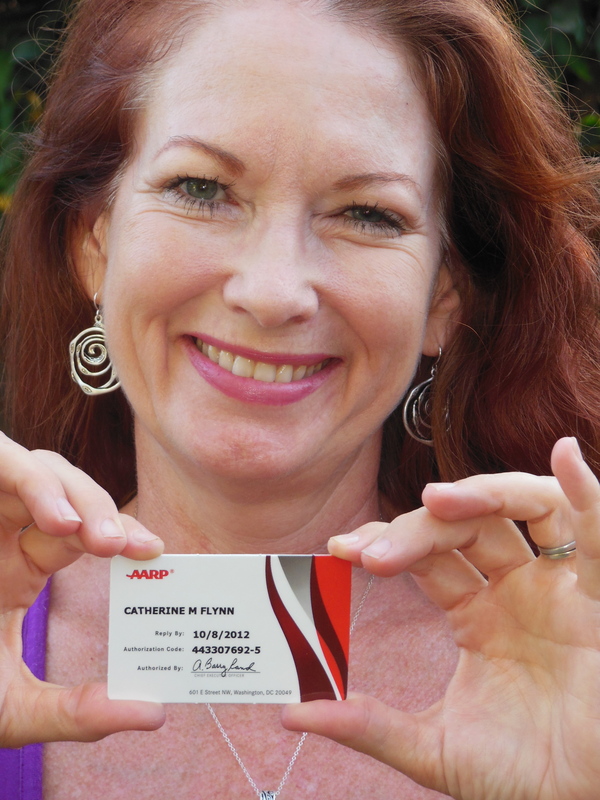 I got my AARP card in the mail this week. For those of you who have been living in a Forever 21 store or in front of the Jersey Shore all your short lives, AARP is the advocacy group promoting issues like Social Security, retirement benefits, and other concerns of Americans who are considered to be past their prime. Typical AARP members might include Betty White and Clint Eastwood, although if he were a spokesperson, Clint probably would have been dropped after his recent RNC rambling stint. However, 90-year old Betty White should be promoted to Queen AARP due to her witty Facebook response: “Is Clint talking to a chair?” A full 20 years after the cancellation of The Golden Girls, Betty’s still got it. AARP used to be known as the American Association of Retired Persons, but is now an acronym without a title of origin, even though it is officially pronounced “ay ay ar pee” instead of “aaaarp,” which would sound like the bark of a small yapper dog, which coincidentally the majority of AARP members probably keep as their companions. My kids are 5, 11, and 16 years old, and to them, 50 must seem absolutely ancient. By the time my mom was 50, she already had seven grandchildren – two who were older than my son is today. I was born before the Kennedy assassination, 7 years before the first moon walk, before most Americans had color tvs, before the Beatles released their first single, and 8 years before Republican Vice President Paul Ryan candidate was born. I share the 1962 birth year with Tom Cruise, Jon Stewart, Jim Carrey, Demi Moore, Steve Carell, Jodie Foster, Axl Rose, Garth Brooks, Eddie Izzard, Sheryl Crow, Jon Bon Jovi, Matthew Broderick, Rosie O’Donnell, MC Hammer, Emilio Estevez, Craig Ferguson, Bobcat Goldwait, John Slattery, Craig Kilborn, Joan Cusack, Kelly Preston, Flea, Felicity Huffman, and Ralph Fiennes. 1962 was a very fruitful year. I have “1962” in my email address. I once had someone ask if that was the year I was born. I nonchalantly answered that it was. “That’s awfully brave of you,” she answered. No, I didn’t hit her. And I only thought about crying for a second. When I told people that I had a milestone birthday coming up, many of them would try to flatter me. God, I never want to see 29 again. Back then I was in a horrible relationship, had zero self-esteem, and no life beyond work. It’s a good thing I didn’t end it all in desperation. I never would have known that my best years were still to come. At 50, I have a full life – a little too full most of the time – but one that I wouldn’t trade for the world. I have a husband who always makes me laugh, three terrific kids who make my life worth living, a close-knit family I adore, a wide group of loving friends, a home that I appreciate, good health, a job that pays be a decent living and allows me to work from home where I have the freedom to choose my schedule, rewarding volunteer opportunities, a brain that still works most of the time, and I have this blog where I can try to be the funny that I have trouble being in person. I don’t like my jiggly arms, varicose veins, grey roots, and recent vertical lines that are wrapping around my mouth. But I do like my smile lines, my red root rescue dyes, my thicker skin (metaphorically) and the wisdom that I’ve gained and still acquire more of every day. I say 50 is the new 30. Thankfully I’m not alone in having kids later in life, and most of us older moms can keep up with those younger mothers any day of the week. I’m not as frazzled and emotionally unstable as I would have been 20 years ago. And although I definitely was in a better boat financially, I don’t mind sharing my paycheck with my family. Balance transfers and a decent credit score keep the roof over our heads, our bills up to date, and our bellies more than full. Realistically, I will probably never retire. Between my recent student loans, the debt equal to the GDP of a small nation that my husband has amassed by pursuing his Ph.D., and the inevitable college tuition bills of my three children, I will be paying off student loans until I’m dead. I don’t mind. I like being productive, and if there’s a choice between cutting lip smacks from the main characters of Once Upon a Time (or whatever show I land on after its hopefully 20-year run) or playing golf and bingo all day, I would choose the job. awesome! happy birthday and enjoy that card… lol. Or is it as old as you act…? Well whatever…you know what I mean. WOW!! Great blog! I’m going to print it up and put it in my hope chest to save. My birthday wish for you is that you feel this way every year for as long as you life, along with health and stamina to keep up with your life!